With winter, and another polar vortex, moving along, it’s not a surprise that it’s cold outside. 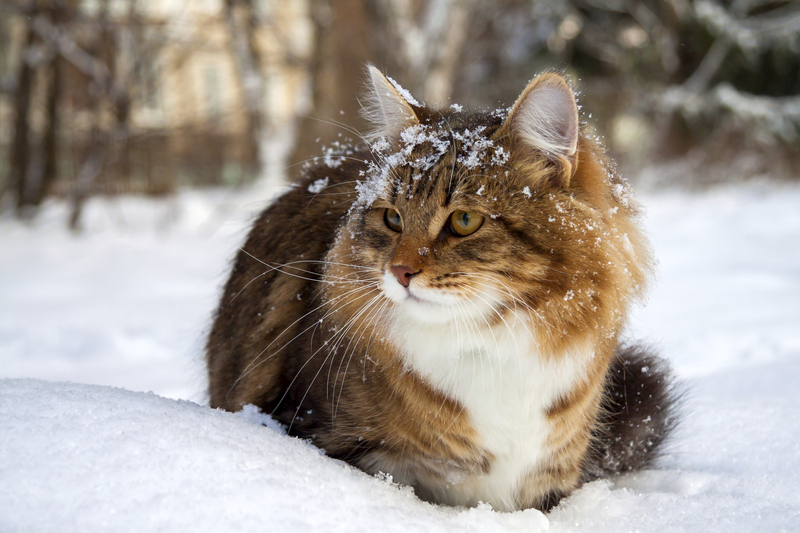 But if you live outside, like homeless animals do, winter is a harsh time of year to be forgotten. For those of us with fortunate pets who enjoy the comfort of our homes, it can be overwhelming to think of those on their own. What can one person do? Support your local shelter (it may be called a humane society, animal welfare league, society for the prevention of cruelty to animals, or animal control) with your time, donations of funds or supplies or by adopting a pet. You can also ask if there are any trap, neuter, return (TNR) programs in your area that could use some oversight. Many shelters are opting to spay neighborhood cats and allow them to live where they are, as long as neighbors are comfortable with them. Neighbors agree to feed the cats and local groups trap and vaccinate them periodically. During extreme weather these groups can use help monitoring feeding stations since water freezes and shelter can be hard to find. Straw bales and coolers fitted with cat doors make great temporary shelters. Call and find out what is needed. You may have useful supplies sitting around right now. If you see an animal outside who doesn’t appear to have shelter, notify authorities. But remember, it’s not uncommon for large animals, including large dogs, to feel comfortable in temperatures that are not safe for humans. Animal Control Officers and humane investigators may not think to call you back to let you know all was well. Ask for a courtesy call. Obviously, you wouldn’t be reading this if you didn’t already have a heart for animals, so while your animals are bundled up safe, consider supporting your local rescue group with pet supplies or pet food that you won’t be using. Groups often pass on things they can’t use to smaller rescues and foster homes. Nothing goes to waste and it gives you a warm feeling inside. Something we can all use this time of year.